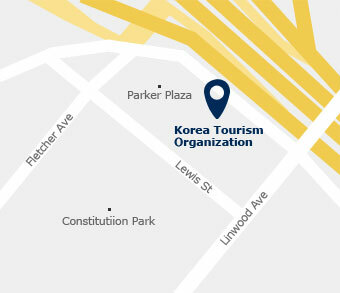 Welcome to the America's offices of the Korea Tourism Organization (KTO), we are the first stop for information on travel to Korea. Our offices are conveniently located in Los Angeles and New York. Los Angeles office : AK, AZ, CA,CO, HI, ID, MT, NV, NM, OR, UT, WA,WY and 19 countries in Latin America including Mexico. New York office : AL, AR, IA, IL, IN, KS, KY, LA, MI, MN, MO, MS, ND, NE, OH, OK, SD, TN, TX, WI, CT, DC, DE, FL, GA, MA, MD, ME, NC, NH, NJ, NY, PA, RI, SC, VA, VT, WV and 14 countries throughout the Caribbean. Each office is in charge with the promotion of Korea as a travel destination with the common objective to increase visitor numbers. Our primary goal is to support the sales, marketing and promotional activities that will entice travel consumers to spend a holiday in Korea. We work in conjunction with the media, tour operators, travel agents, meeting planners, the Korean community and general travel consumers that work and live in the United States, Latin America and the Caribbean. We target each of these specific demographic groups through different activities, which may include press releases, trade shows, direct mailings, advertising, promotions and other special events. KTO offices are pleased to provide you with the most up to date promotional brochures, videos, tour products and educational seminars. All of KTO's materials and services are provided free of charge. The Los Angeles Office of the Korea Tourism Organization (KTO) is responsible for promoting Korea as a travel destination, with the consequent goal of increasing visitor numbers. The primary area of focus for the Los Angeles office is interaction with media, tour operators, travel agents, meeting planners, the Korean community and general travel consumers that live and or work in the Western United States and Latin America. The KTO will target each of these specific demographic groups through different activities, which may include press releases, trade shows, direct mailings, advertising, promotions and other special events and activities. 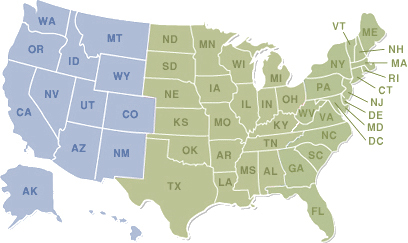 For the KTO, the Western region is comprised of 13 states, which include Alaska, Arizona, California, Colorado, Hawaii, Idaho, Montana, Nevada, New Mexico, Oregon, Utah, Washington and Wyoming. Latin America includes Mexico and all countries in Central and South America, although the primary target for the Los Angeles office are in Mexico, Brazil and Argentina, as these are the countries that generate the highest amount of visitors to Korea. The Los Angeles Office of the KTO is also responsible for staying visible among community leaders in the western region, and is responsible for maintaining a high-level presence at the most important Korean-American functions. 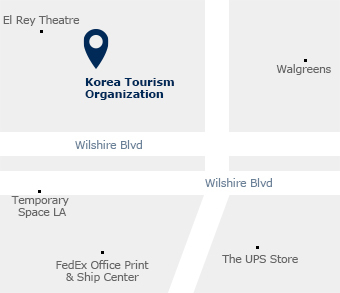 The Los Angeles Office has moved to the Korea Center on September 30, 2006 to offer an extraordinary experience of Korean Culture and Tourism on the West Coast region of the United States. The Korea Center provides specialized programs, events, films, exhibitions, multiple learning sources, touch screen kiosks and much more. Promotions to the media community by the Los Angeles office is used to develop increased stories about tourism to Korea in area newspapers, local and national magazines, radio programs, internet promotions and soft television news shows. To this end, the Los Angeles office distributes a specialized press release, which gives a more long-range view of newsworthy events happening in Korea. Interaction with the media in the region also includes personal contact, via phone calls and meetings, media dinner functions and press kit distribution as needed. The Los Angeles Office maintains contact with more than 150 tour operators within its designated 13 states, including nearly 15 Korean-American agencies. Additionally the western region database contains more than 1,500 travel agencies within the region. Contact with the area wholesalers is specifically targeted to encourage these companies to add Korea to tour programs or to design ways to increase the number of passengers purchasing existing Korea product. Promotions to tour operators and retail travel agents include personal contacts, tour program development assistance, direct monthly mailings, quarterly email programs that are jointly coordinated by all four North American offices, and contact at trade show and functions. A small number of international meeting planners are based within the western region, and the KTO includes personal contacts and direct mailings to these meeting planners, so that they will consider holding some of their international forums, seminars, meetings or conventions in any of Korea's world-class meeting facilities. The western region office is also responsible for generating consumer awareness of Korea, which is primarily accomplished through the use of strategic advertising in top area and national newspapers and magazines. Through the use of the reader-response programs, implemented by each publication, the KTO is able to assess the interest in Korea by publication readers and to renew or revise the advertising plan in future years. With the increasing number of people traveling to Asia from Latin America, combined with the excitement being generated by the 2002 World Cup Korea/Japan, the western region office has been charged with the promotion of Korea in Latin America. Promotion is primarily being conducted in three target countries, Mexico, Brazil and Argentina. Activity types in these countries generally mirror those being held in the western region and include promotion to media, travel trade, consumers and industry leaders. 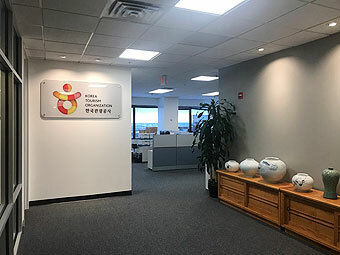 Welcome to the KTO Eastern USA Region - New York Office. Our offices are headquartered just across the George Washington Bridge in Fort Lee, New Jersey; our region comprises all 37 states east of the Rockies, DC, and 14 countries throughout the Caribbean. Our primary objective is to support the sales and various marketing and promotional activities that will enhance our travelers' experience in Korea. One of our key messages is to emphasize the "experience, spirit and history" that is Korea.Our secondary objective is to achieve a "balance" of visitors. We are happy to provide you with the most up to date promotional brochures, videos, tour products and educational seminars keeping you, our visitor, well informed. Making your "experience" a most memorable one, we offer essential destination information in the areas of leisure travel, cruise, business meetings, and world-class conventions and incentives market. Our marketing/advertising/promotional programs are developed, to assist and guide you through our exciting and diverse country. We want you to experience all of the: Nature, Culture and History, Cuisine, Shopping and Entertainment, Relaxation, Rejuvenation and Inspiration, Sports and Outdoor festivals - Korea is an "adventure" -enjoy! Our travel tour and trade show programs are designed, implemented and managed by KTO in partnership with over 100 KTO suppliers, association member companies and KTO "partners in travel". As "partners on travel", our KTO Eastern suppliers provide a wealth of services to our visitors. Air, accommodations, land packages meeting and convention services are an integral service providing a comprehensive and ensuring a complete travel experience. In return, we provide our KTO suppliers with co-marketing support in the form of familiarization tours, targeted advertising, direct mail, email broadcasts and fax distribution. Co-op travel promotions, joint sales calls and co-branded marketing keeps our business relationships strong, vital and exciting. We utilize and purchase various forms of media such as national television, local and national newspaper, internet, and magazines to help us to promote and develop "new and curious customers". Press releases are distributed on a frequent basis to ensure coverage of current market and future trends in Korea. All of our advertising and marketing programs are fully integrated with the same message, goals and objectives and coordinated to fit within established budgetary goals.